Anyone care to produce an idiots (read me ) guide to tissue and dope? Jack and I are attempting another small balsa build and were hoping to achieve a stronger (more Jack proof )finish, can we use shrinking dope and Tesco value tissues and if so, how do we do it? Hi Grub I hope this helps and is not too simplistic. I don't know the thickness of Tesco tissue however the light weight stuff sold for wrapping gifts is suitable. 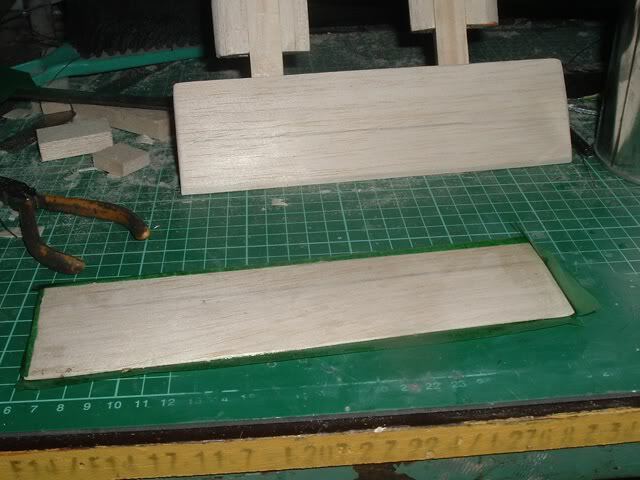 My method is to prepare balsa or ply is to lightly spray with water which raises the wood fibres, when dry several hours later lightly sand with 400 wet & dry paper dry. 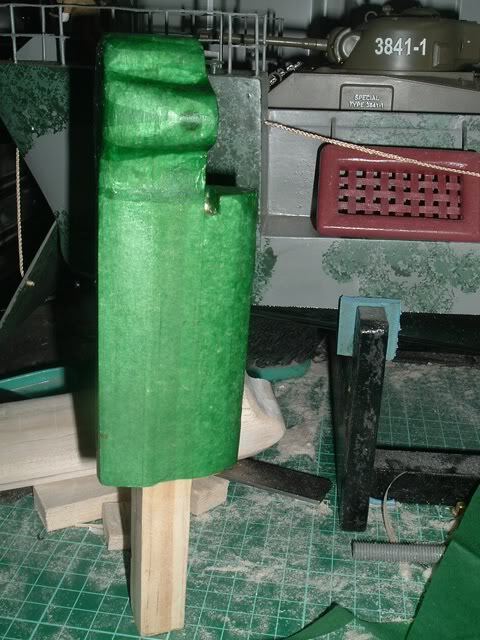 paint the entire item inside and out with thinned Dope this seals the wood and doing in & outside will prevent shrinkage warping of the hull. Do larger flat sections first, lay the tissue on the hull and apply the dope again thinned to consistency of between milk & cream depending on size of model I'd suggest a 1/2" or 1' brush the dope will penetrate the tissue and soften and bond with the previous layer of dope while still wet a wipe with a 2' paint scraper will remove excess dope and save a lot of sanding later. Moving on to curved sections I recommend using strips overlapped slightly where a wrinkle appear a knick with a knife will help to lay it flat continue until finished. Put aside 4-5 hours to dry fully then sand with 360 to 480 wet & dry sand paper the overlapped sections will become one smooth surface ready for painting. 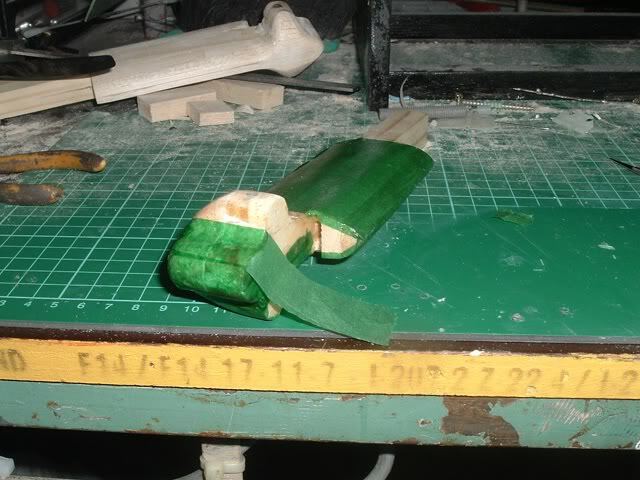 For a fully curved hull like Neil's life boats tissue can be laid in strips like planks again slightly overlapped. Thanks Damien, anybody know about the Tesco tissues? Loo roll even? 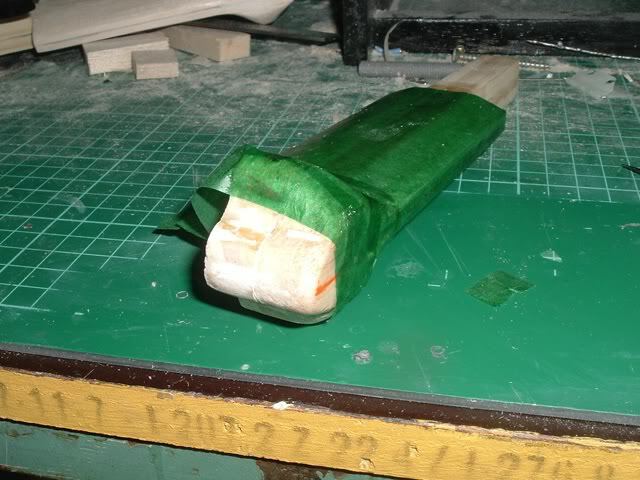 I agree with Phil Jap or rice tissue is best however one use what we can get this green tissue is not as porous as i'd like so the technique is as follows for 2 engine towers and rudders. Cut tissue a little larger than required coat object with dope, lay tissue on wet dope and apply dope to top of tissue being careful to avoid wrinkles while the dope is still wet wrinkles can be worked out with a finger. 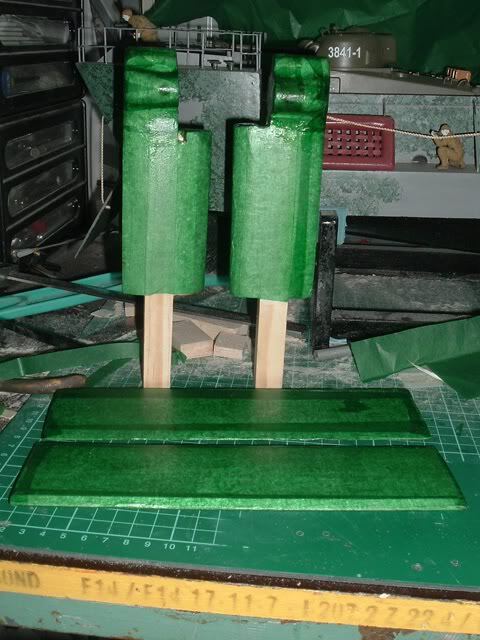 One side done next over lap fold to the other side I use a No11 scalpel to cut the corners as needed. Next to one of the motor towers the lower section although air foil shaped is still flat and a single piece of tissue is laid around it finishing with a slight overlap the top section is cross shaped with compound curves I tackled them with 1/2" wide strips this is where the finger really works to get the tissue to conform to the curves. This is as far as I got today when the sinus and headache from the acetone fumes got too strong in the shed will do some more tomorrow. In my comment after the first photo in my previous I should have said after applying tissue and before working out any wrinkles apply top coat of dope then with finger or brush work out any bubbles or wrinkles. OK so I was bitten by the bug and just had to finish them. This tissue was not high quality and had small holes throughout so some patches can be seen overall I'm happy with them though. 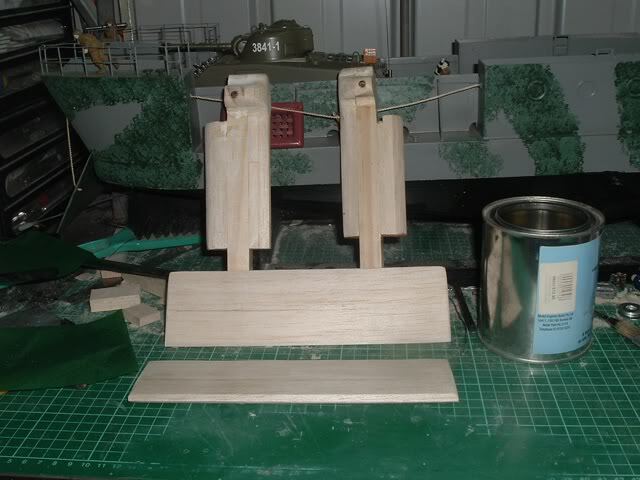 And final pic 2 motor towers and 2 rudders. Just a couple of comments re splitting the covering to fit. 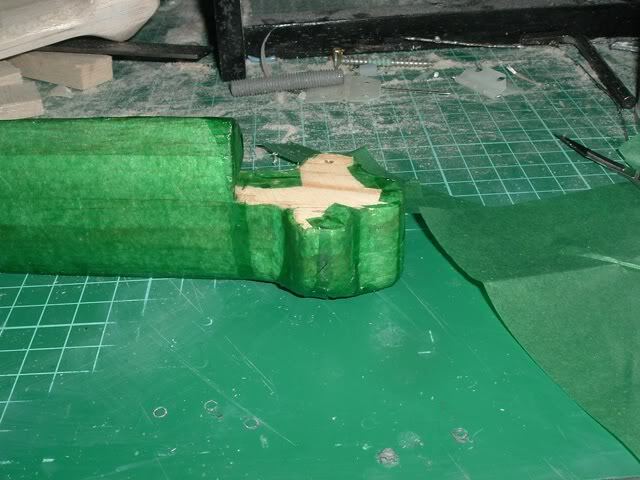 I find a scalpel can snag and tear the material too easily. Use a new single-edged razor blade. You can get them for £4 to £5 a hundred. 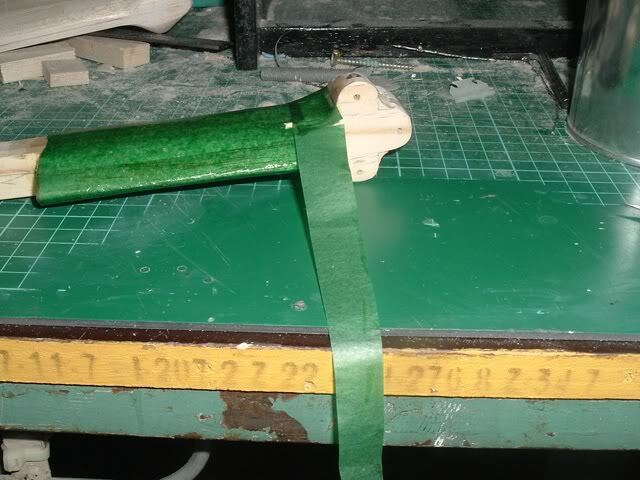 Periodically wipe any traces of glue off the blade with kitchen towel and meths. I know this topic is a couple of years old. but better late than never. 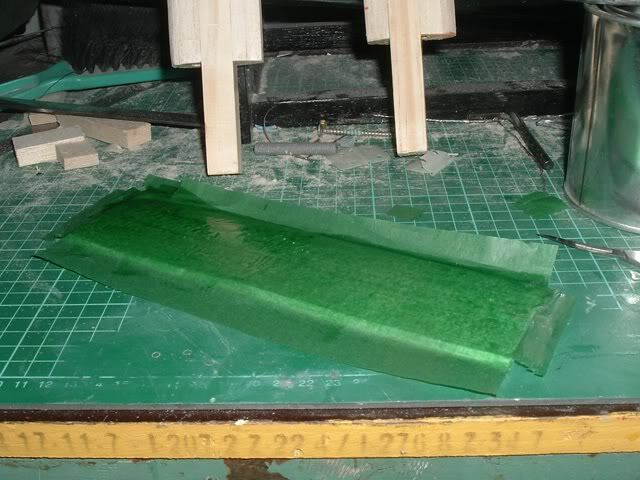 Being an old model aircraft buff from way back, who is now trying my hand at boats, I have some experience in this field and I think my information could be of assistance to some that use tissue 7 dope for other various purposes. Most of the aircraft that I made were coated with the more modern polyester type trims, but the last aircraft made was a vintage AVRO triplane I did a lot of research to find a tissue that was stronger than the norm with the same properties, I eventually came up with a product called SILKSPAN this is much stronger that most of the tissues on the market I had to send to the USA for it but it was worth the wait you use it the same as you would normal tissue it can be painted in the usual ways I used vegetable dye on it, didn't like the colour but it worked well. As I recall from my model shop working days tissue back then (early '70's) came in light for small or free flight models and heavy for the powered models and not too long after came the iron on covering which I also used in my aero modelling endeavors and as with every thing we all have our preferences and when we share some may decide it a better way.